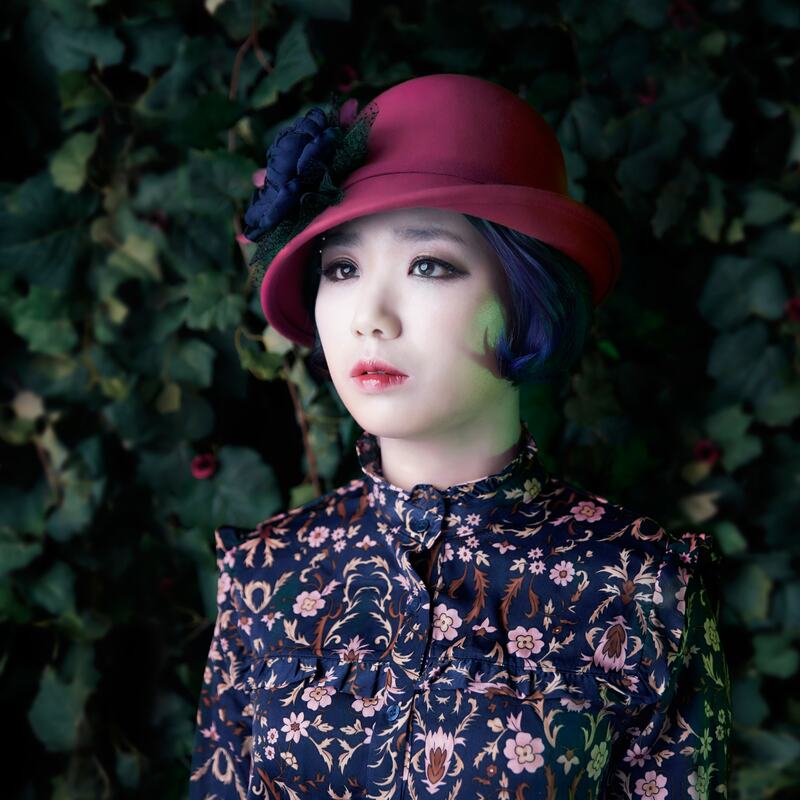 Ahn Ye-Eun has released her self-titled debut album on Pandawhale (YesAsia.com lists the publisher as Sony Korea, though). It's really good. If you didn't watch KPOP Star 5, you probably don't know who she is, and if you did watch it, you didn't know who she was until episode 11(! ), because the show's producers kept expecting her to get sent home. Yeah, that never happened. She competed with her own compositions for the entire run of the show, only covering songs twice -- once during the team competition (the haunting rendition of IU's "Pink Shoes" with Woo Ye Rin) and during the final where the last two contestants had to do a song the other had performed during the run of the show. The easiest way to describe her is the Korean Shiina Ringo, but that's short-hand at best, and does a disservice to both. She's a bit more conventional than Shiina, but still a bit out there. She's clearly a fan of the Beatles' later era. The one thing that bums me out about this album is that the whimsy she showed during KS5 is pretty much not present at all, and that was a really endearing element of her music for me. Still, it's a great album, and from a selfish perspective, I'm happy she was the runner-up, because I don't think she'd have an album out so soon had she won and been signed to Antenna. The entire album is on Youtube, as are her performances from KS5, which I encourage everyone to check out. Here's her first PV, "Somehow"
Listen on Amazon Music, Apple Music, Google Play Music, and Spotify. I quite like this album. You're right that the songs have a somewhat different feel from the ones she wrote for K-Pop Star 5, but they're still very much in her style. My guess would be that the songs on this album are more personal, and she didn't have to think about adjusting anything to impress judges or an audience. My favorite song here is "A Story from the Past". It's just absolutely enchanting fantasy waltz. Ye Eun (and Woo Ye Rin from the show, which what made their "Pink Shoes" cover so great) excels at this genre. Even if she had won and signed with Antenna, Ye Eun would have likely been a great fit in that particular company culture, more so than the season winner Lee Soo Jung. I recommend watching the Weekly Idol episode with Antenna artists as guests (2016-12-21 E282). They're just a group of ridiculously talented, quirky musicians. I think you're right about this, although including "Mr. Mystery" or "If Spring Comes" would have been huge from a marketing angle. I would guess that if you asked the majority of people in Korea who know who she is what song they associate with her, it would be "Mr. Mystery." It certainly wouldn't fit with the rest of the album, though, and might have been cost prohibitive to record properly. It certainly wouldn't fit with the rest of the album, though, and might have been cost prohibitive to record properly. SBS released studio versions of performances starting from the top 10 (K팝 스타 시즌5 TOP10 Part.1), so there does exist a proper recording of "Mr. Mystery" ("미스터 미스터리"). Perhaps the performers had to give up rights to their songs for the show. Ah, I didn't know they released these songs like this. These recordings are awful, lol! All of the fire and passion of the live performances are completely missing. Even Ye-eun's vocal performances are uninspired.